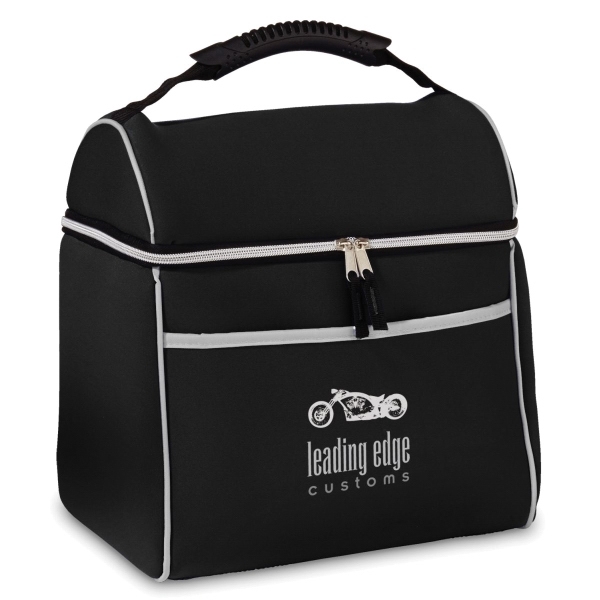 Imprint Method: 1 Color 1 Location - Extra large neoprene cooler holds lots of stay-cold items. Dual zippers open the insulated, main compartment. Large front pocket. Size: 11.75 " x 10.5 " x 8 "